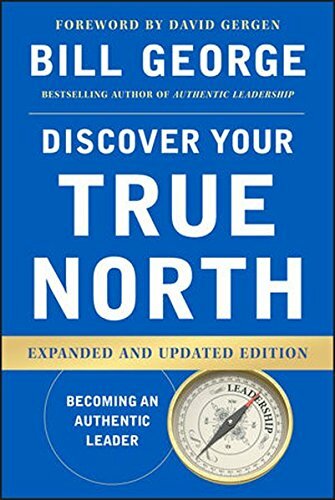 Discover Your True North is the best-selling leadership classic that enables you to become an authentic leader by discovering your True North. Originally based on first-person interviews with 125 leaders, this book instantly became a must-read business classic when it was introduced in 2007. Now expanded and updated to introduce 48 new leaders and new learning about authentic global leaders, this revisited classic includes more diverse, global, and contemporary leaders of all ages. New case studies include Warren Buffett, Indra Nooyi, Arianna Huffington, Jack Ma, Paul Polman, Mike Bloomberg, Mark Zuckerberg, and many others. Alongside these studies, former Medtronic CEO Bill George continues to share his personal stories and his wisdom by describing how you can become the leader you want to be, with helpful exercises included throughout the book. Being a leader is about much more than title and management skills—it's fundamentally a question of who we are as human beings. Discover Your True North offers a concrete and comprehensive program for becoming an authentic leader, and shows how to chart your path to leadership success. Once you discover the purpose of your leadership, you'll find the true leader inside you. This book shows you how to use your natural leadership abilities to inspire and empower others to excellence in today's complex global world. Discover Your True North enables you to become the leader you were born to be, and stay on track of your True North.